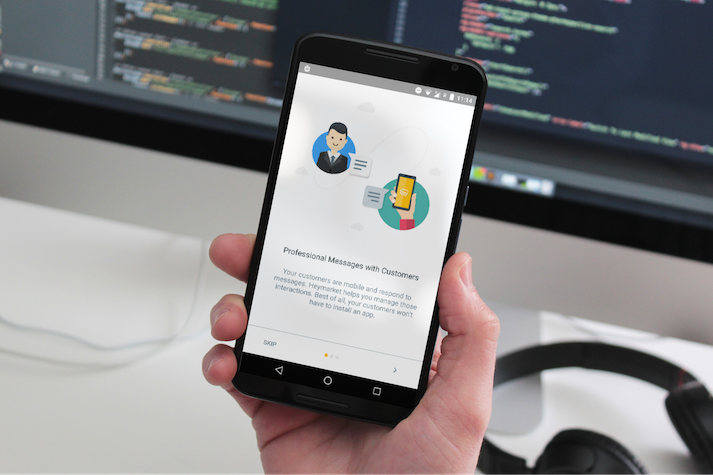 We developed a modern mobile application for Heymarket business text messaging software that is used for customer service, operations, logistics, or sales. Our approach was to utilize material design as the base for the UI to provide fresh and clean look with responsive animations and transitions. Cross-platform messaging solution was used to reliably deliver messages to target specific audiences. The application allows high volume of messages to be delivered with minimal delay.